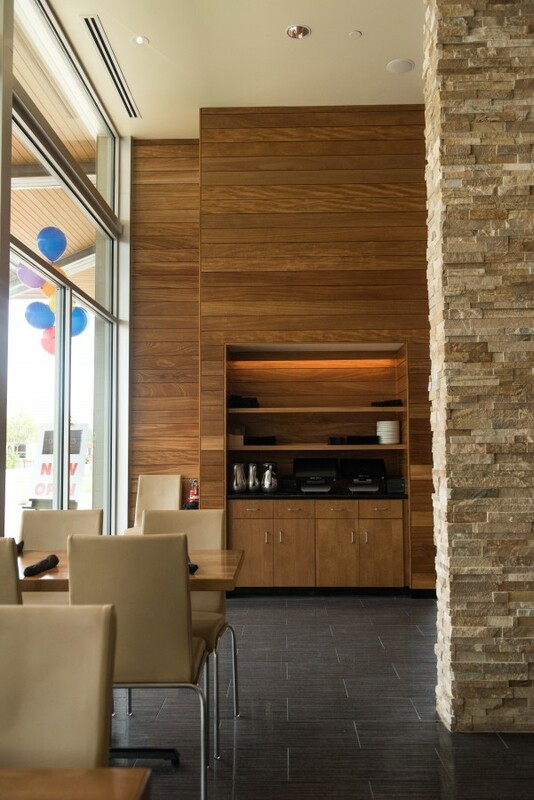 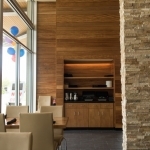 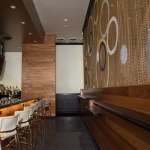 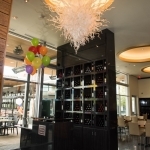 Custom Restaurant Cabinets - Creative Surfaces, Inc. 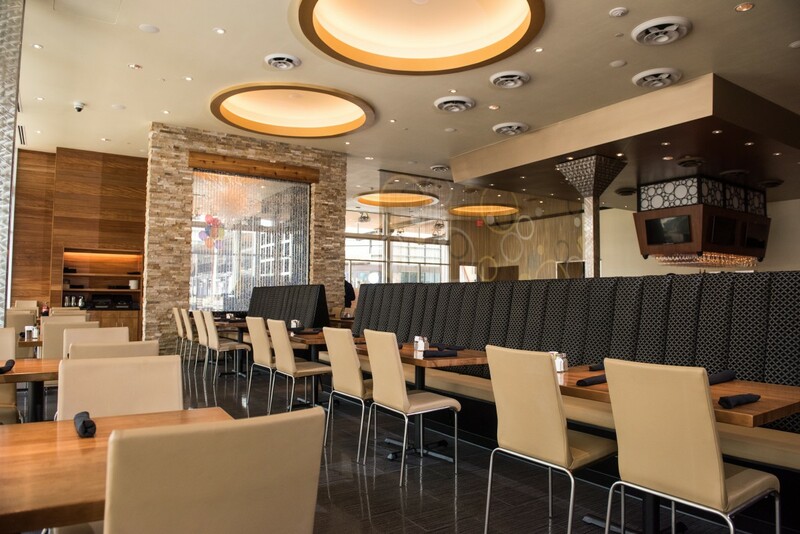 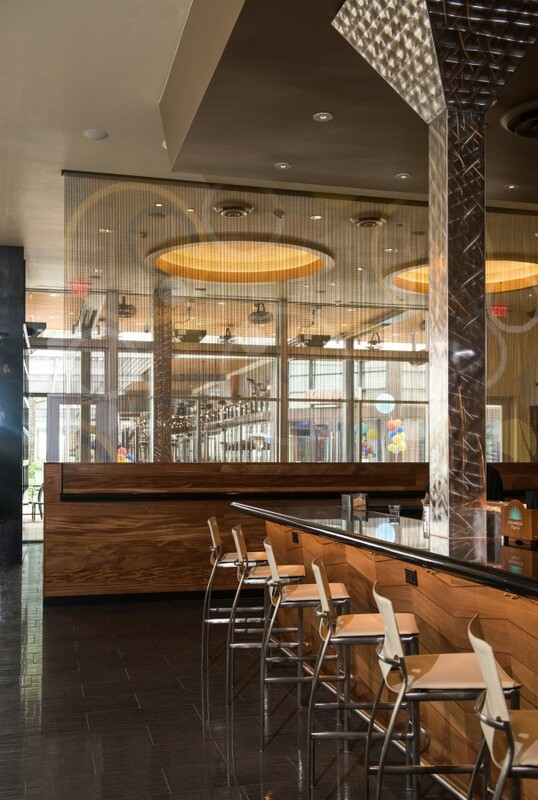 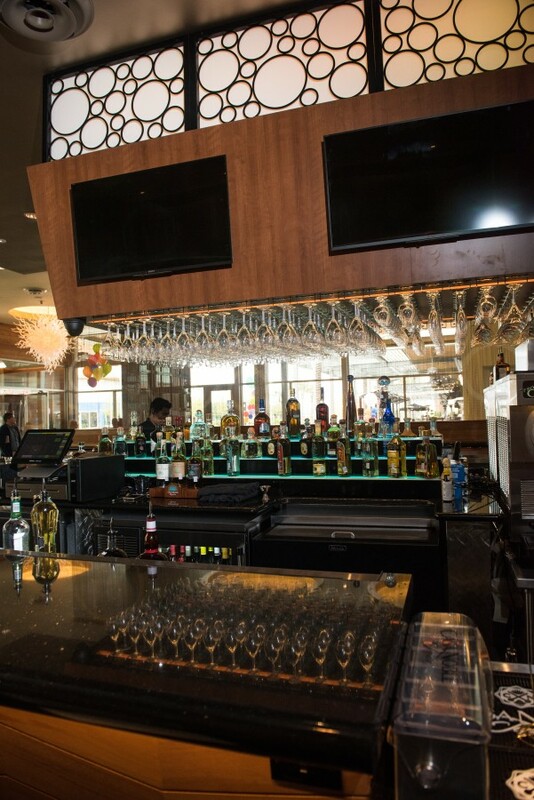 Early 2016 took our install team to Friendswood, Texas to install custom restaurant cabinets for one of Gloria’s newest locations at the Baybrook Mall. 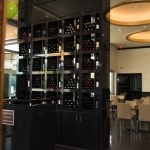 This project consisted of a hostess station with wine rack behind the station, a u-shaped bar and bar island, drink rail on opposite wall of the bar and liquor storage cabinet. 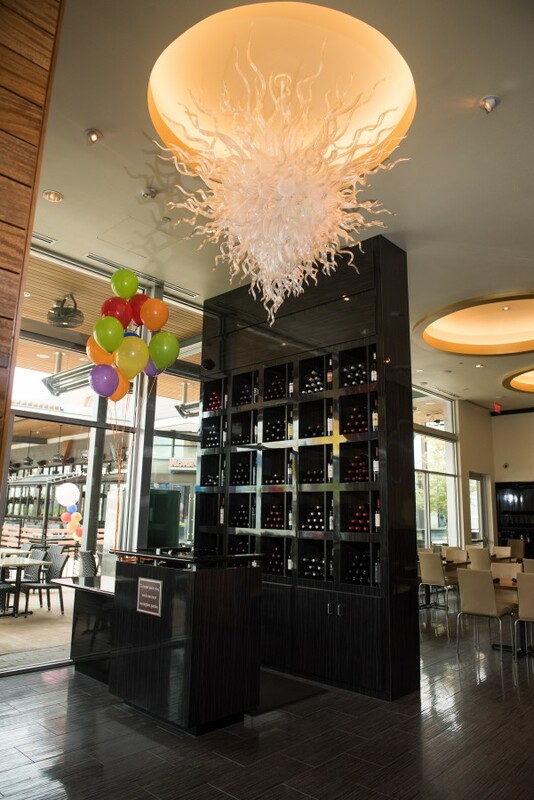 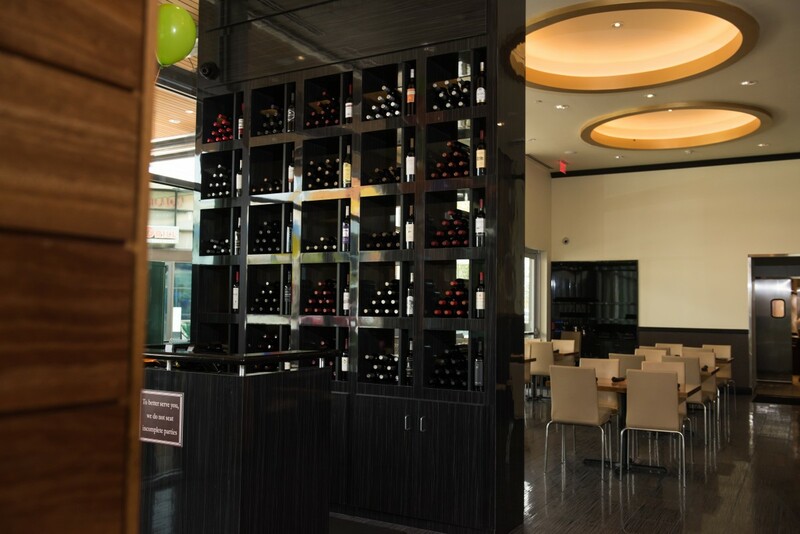 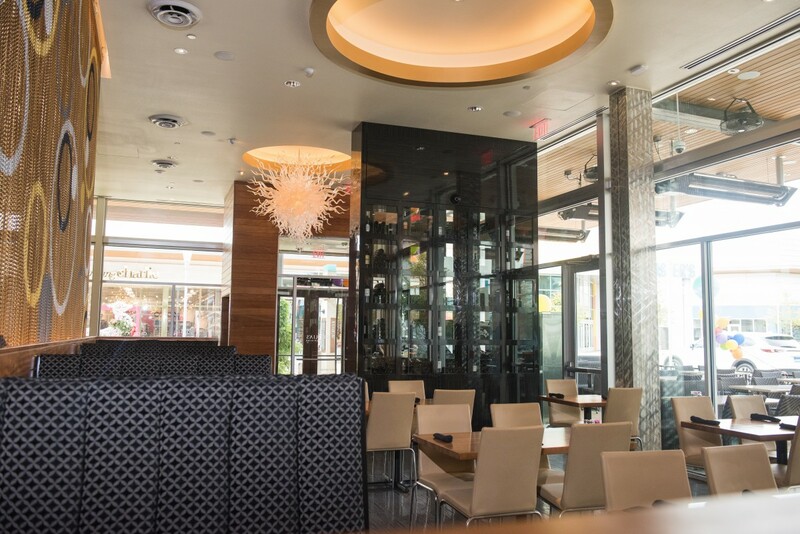 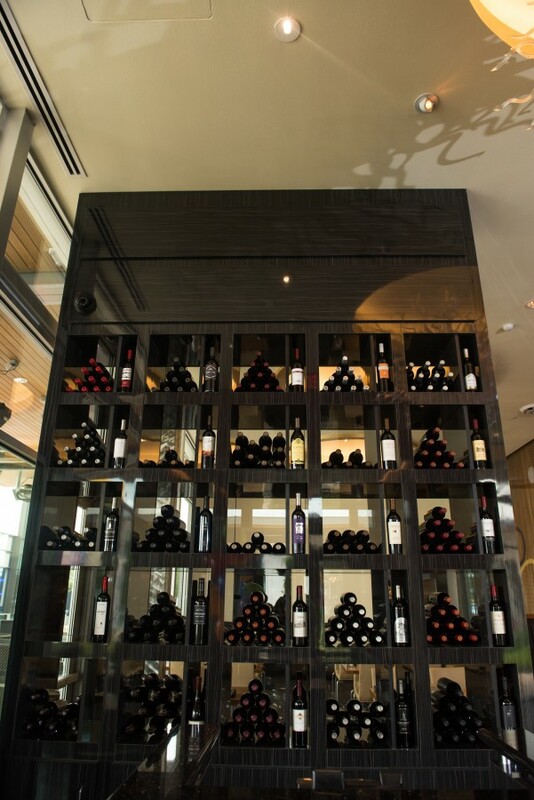 For the hostess stand and wine rack/soffit cabinetry we used Wilsonart “Madagascar” plastic laminate; the wine rack cubes have 3/8″ tempered glass door fronts with magnetic door catches. 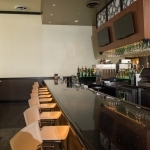 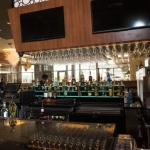 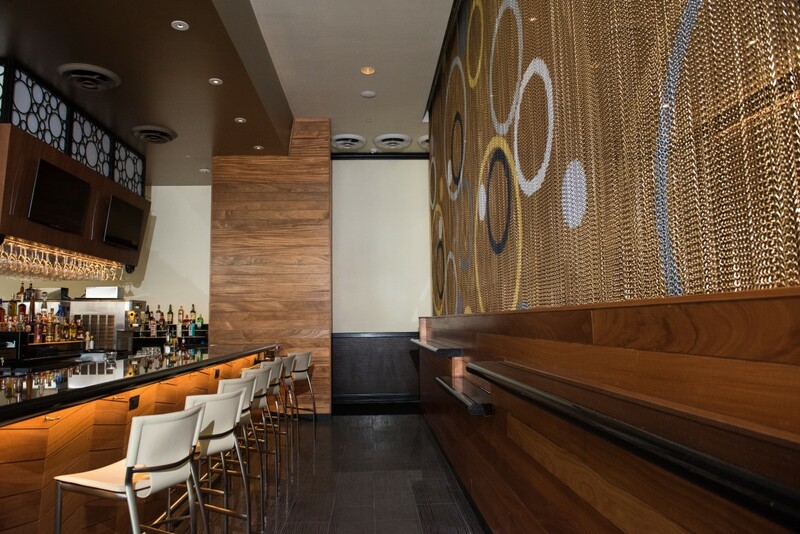 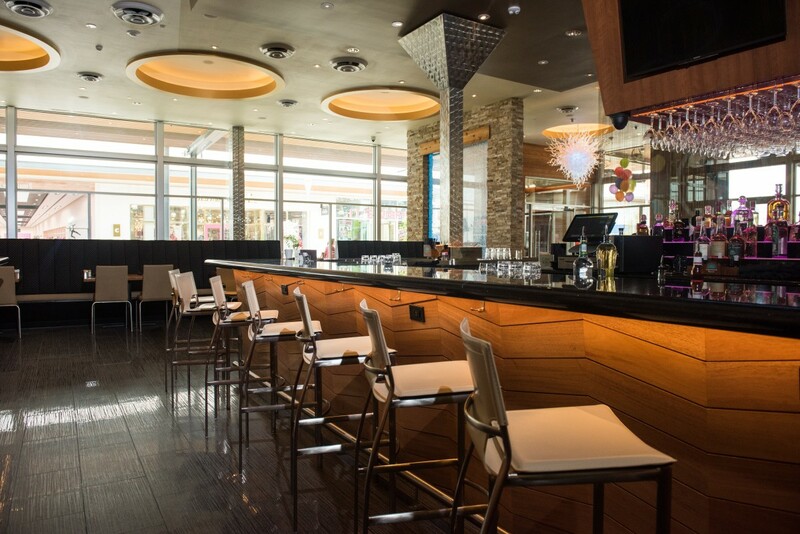 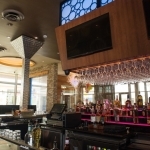 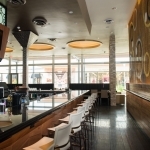 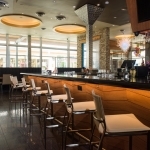 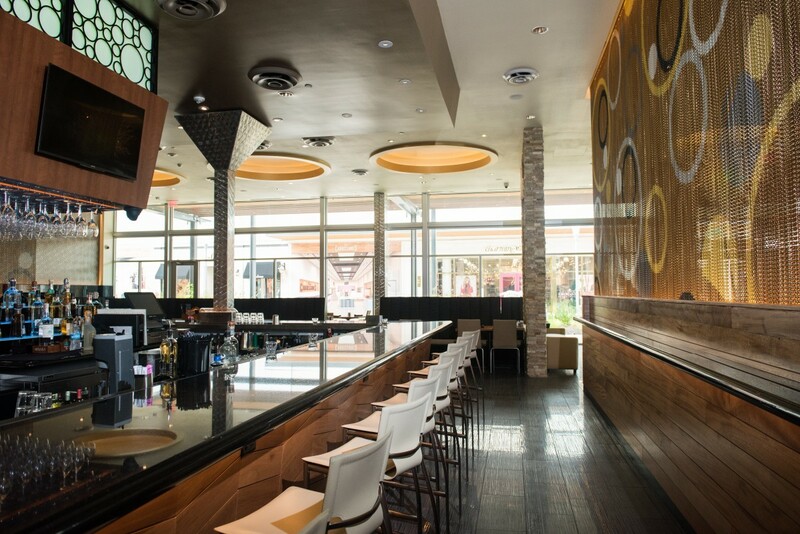 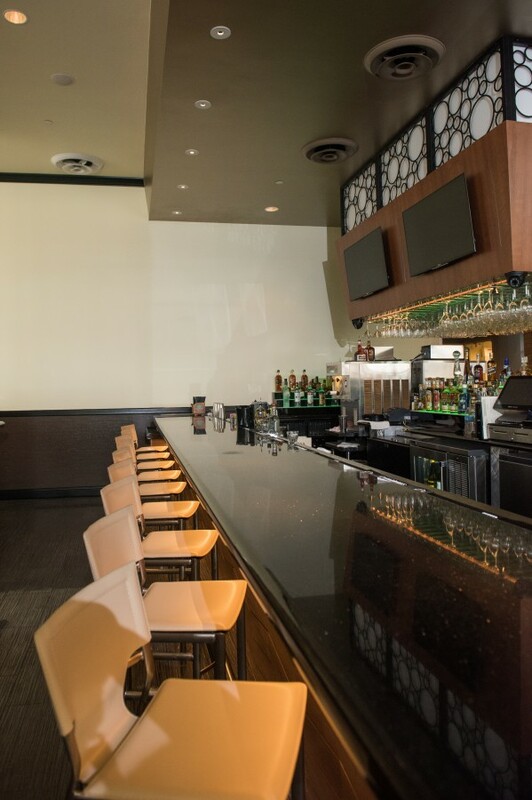 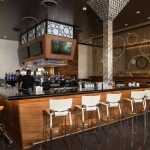 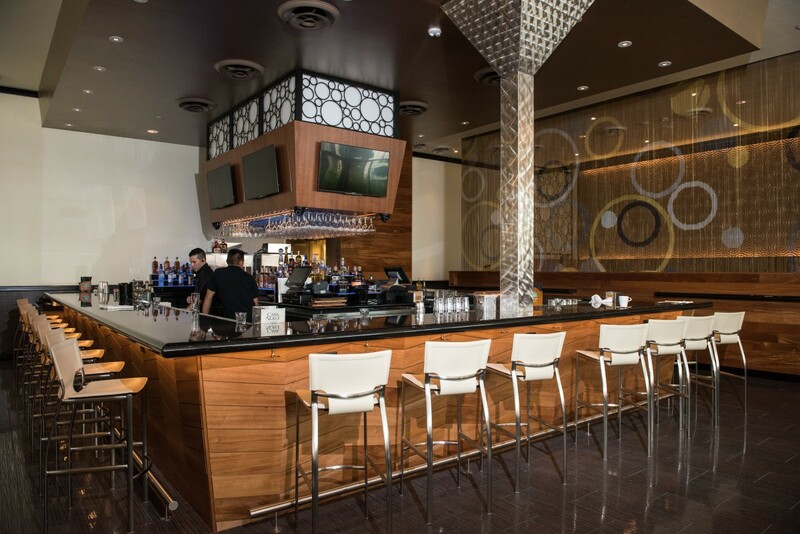 The U-shaped bar with an existing 1/2″ wall and island is covered with mahogany ship-lap siding and finished with 9cm “Black Galaxy” granite with stainless-steel pour rail and under counter LED lighting. 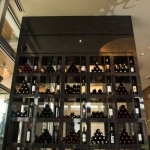 The liquor storage cabinet is Formica “Black” with 4cm granite countertops. 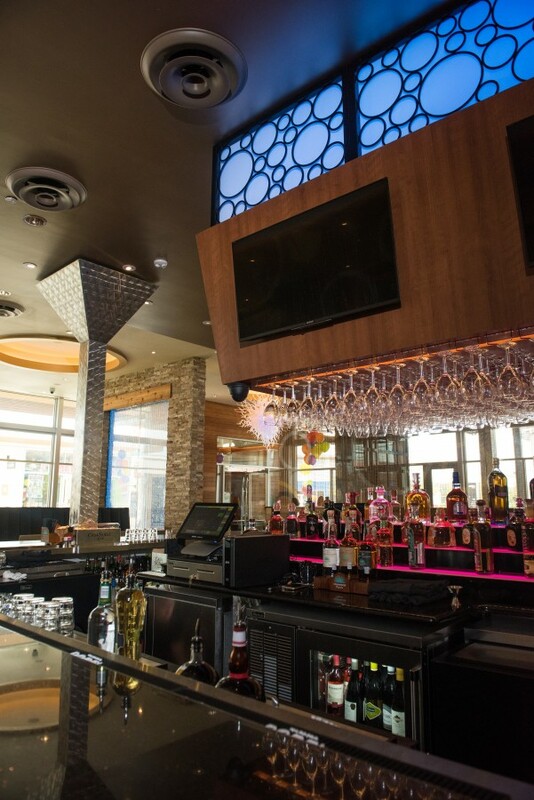 The suspended TV cabinet above the bar island counter is made using Wilsonart “Amber Cherry” (velvet texture).